We had our first meeting of the year and did the work of doing the overall plan for the Demo Garden this year. 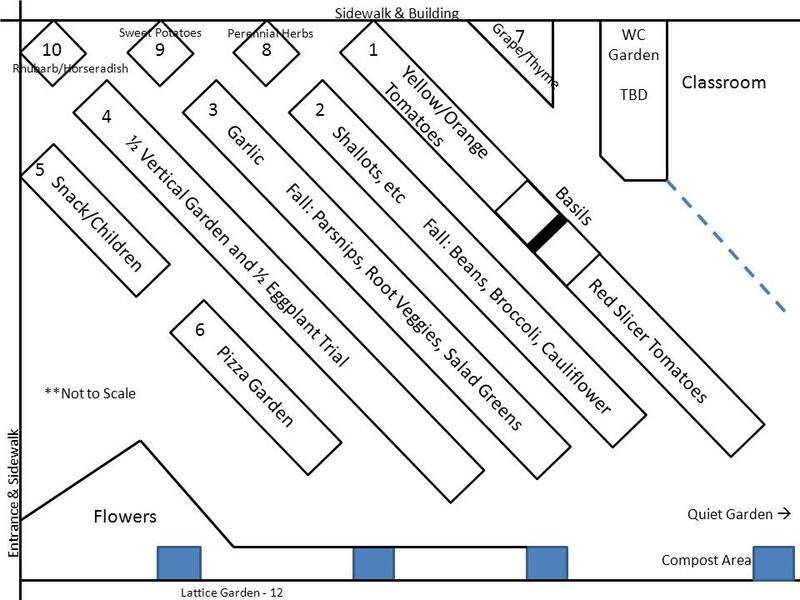 Over the next 2 weeks we will have each sub-committee meet to plan the details of what will be planted in each bed. For now, I can share with you the overall plans. Bed 2: Currently shallots, etc. We will plant some bush beans and then fall broccoli/cauliflower. Bed 3: Currently garlic. Fall root veggies, salad greens and parsnips. You will notice that the Family of 4 Garden is taking a break this year. I think we have plenty of other fun things to take it’s place! Posted on January 15, 2013, in Around the Garden, Working in the Garden and tagged garden planning, garden plans, herbs, Spring, Tomatoes. Bookmark the permalink. 2 Comments. I like bed # 5!! I also like bed #5! Thanks Rebecca, this is going to be fun!